What boy doesn't love tractors? Or other farm vehicles and animals? 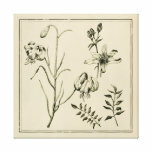 Zazzle is a great place to purchase unique images in various media, business cards, post cards, clothes, or even just pictures. Agriculture has been with us since man learned to put a seed in the ground and grow a plant. The array of images available with an agricultural theme is stunning. Most people can connect with a person in a farm picture. It is not too many generations ago that nearly everybody was a farmer. Now a photograph may be the most a person can use to conjure up memories of a simpler time. Tractors are the most commonly conceived of agricultural icon. Tractors have been getting used to power farm implements for nearly 100 years. 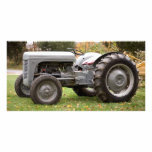 Zazzle has images of old and new tractors. With tractors in action or finely refinished tractors in bright colors. The agricultural images on Zazzle aren't limited to just photographs though. The tractor may also be an artists rendition of a tractor, maybe serious, maybe somewhat cartoonish. The list could go on and on. Do you have a favorite farm animal? Bet there's something with your favorite farm animal available on Zazzle. Personally, I love alpacas. Animals can be a tough farm subject to shoot for photography. Unlike a tractor, they tend not to stay in the place that you want them. Animals will sometimes do some really odd stuff and getting it caught on film can be a challenge as well as rewarding. Farms aren't limited to animals. I think some of the most stunning pictures I've admired are macro shots plants you could find on a farm. Or something like the close up of a head of wheat or across an entire wheat field. 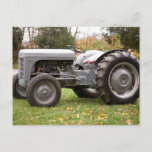 On Zazzle, though, you don't need to limit your search to just one of these categories, it's very possible to find an agricultural image that incorporates many different aspects of farm life. A picture of a tractor harvesting a field of wheat for example. Or better yet, a man driving a team of horses to harvest a field of wheat, a very nostalgic shot. 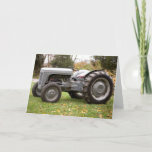 Many agricultural images can be found on Zazzle. So many people have added their images to Zazzle that it's almost unimaginable that something to tickle your fancy wouldn't be there. If you absolutely can't find it on Zazzle you definitely need to get a camera and go out and get some shots that you can add to Zazzle. You very well may have found an untapped niche. Personally I favor the images based off of photographs, but there is a large number of agricultural images available that are artists rendering of some farm scene. An there are many sentiments made on products that are simply a reference to farming or agriculture that don't even involve an image.